Not many people can say they’ve played the flute for Johnny Carson on The Tonight Show, worked as an executive pastry chef, and been vegan for more than 40 years. Chef AJ, a culinary instructor, YouTube host, and author of Unprocessed and The Secrets to Ultimate Weight Loss, can say all of that and more. Although she has a background in comedy and a long track record of ethical eating, there’s nothing funny about food addiction. Even as a vegan, Chef AJ struggled with overeating sugar and under-eating vegetables. She joins us in this episode to share how she turned to whole foods, lost 50 pounds, managed her addiction to sugar, and changed the course of her health. What makes processed foods more addictive? What makes a food addict and what are cravings? What is taste neural adaptation and how long does it take for taste buds to adjust to new diets? 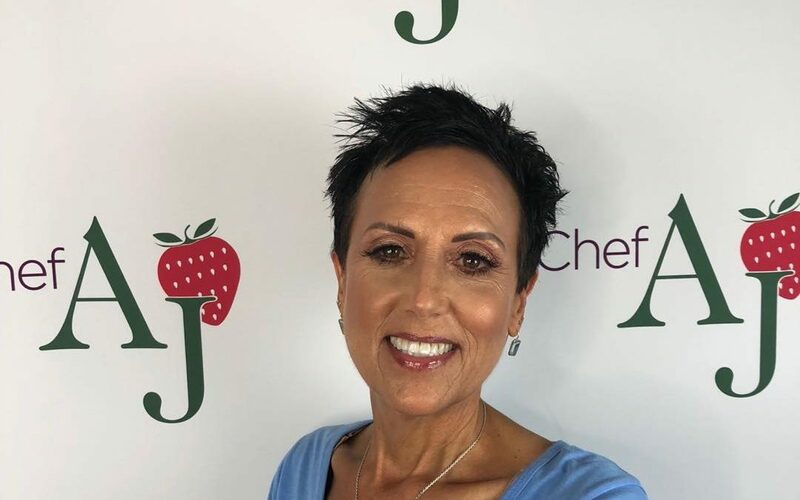 Follow Chef AJ on YouTube at ChefAJ, on Instagram at @therealchefaj, on Facebook at facebook.com/chef.aj1, or on her website at chefajwebsite.com. Watch her Tonight Show appearance here!